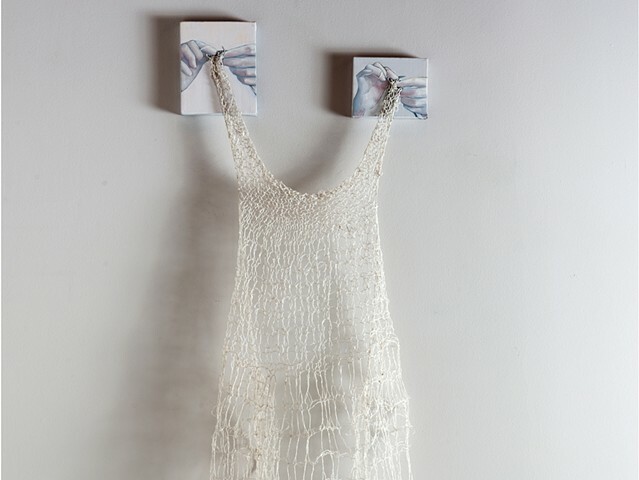 Expectations is a dress suspended between hands knitting it together. Dress fibers include stainless steel, silver, and kibiso silk—a silk made from the protective outer layer of the silk cocoon. This piece is about fitting in, about how you see yourself, and how you want others to see you.